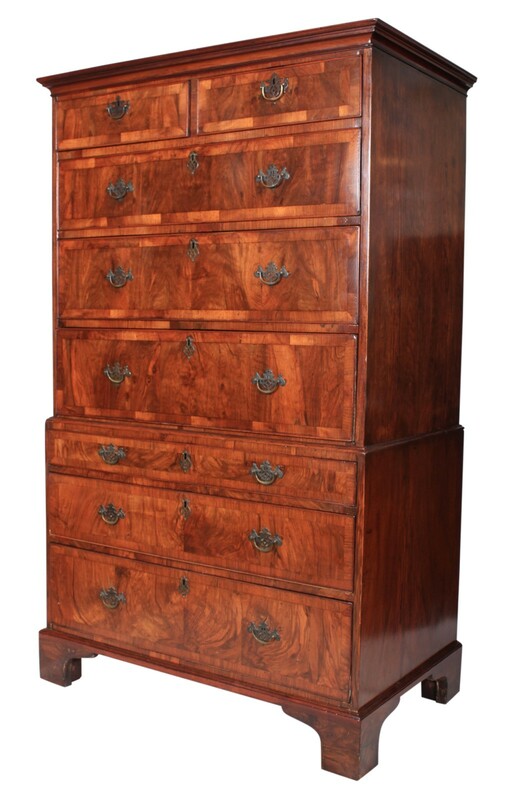 This is a beautiful walnut chest on chest offered in showroom condition. 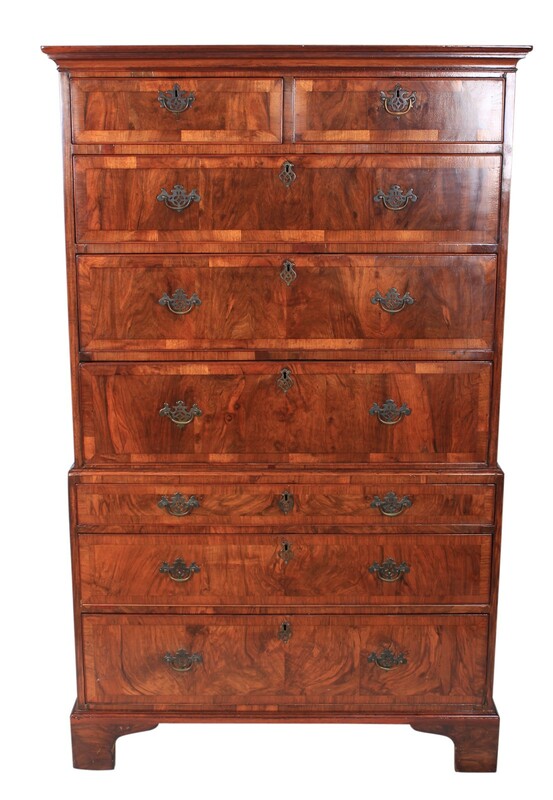 Consisting of 2 short over 6 long drawers. 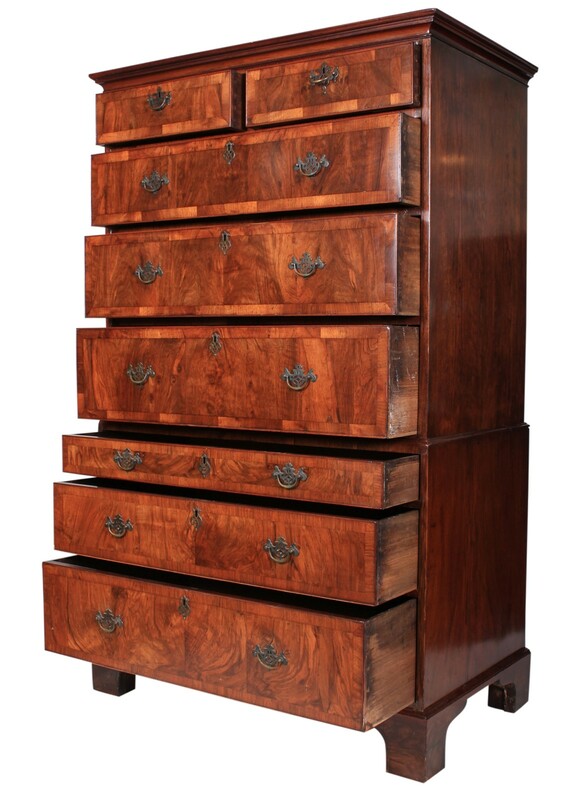 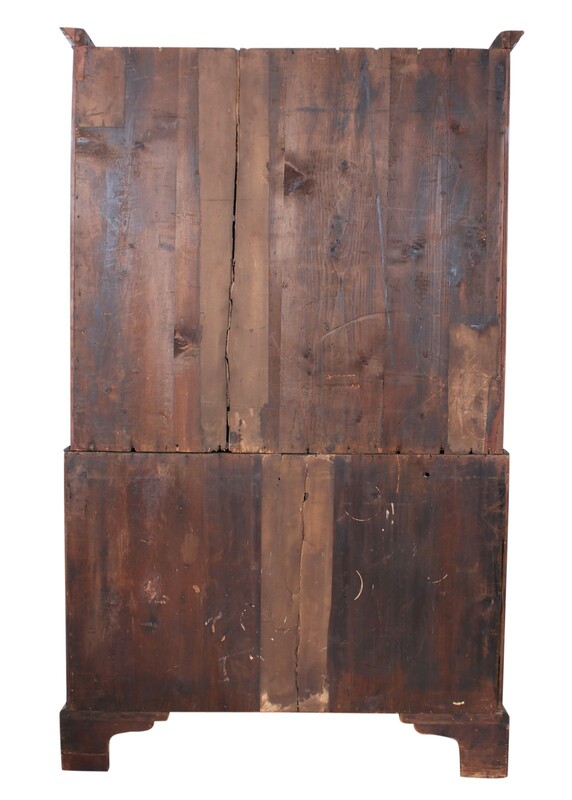 The drawers are of solid oak dovetailed construction, with stunning walnut crossbanded and cockbeaded fronts and brass handles with decorative pierced back plates. 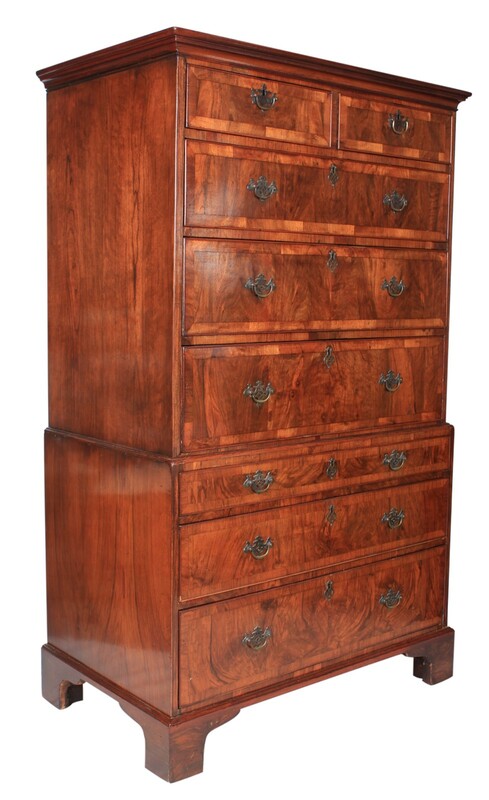 The sides are also a lovely walnut, making this a wonderful quality piece of furniture.